Both groups say slaughtering without pre-stunning causes 'unnecessary pain and suffering'. The latest figures from 2017/18 reveal that over 120 million animals were slaughtered without being stunned first - more than three animals slaughtered every second on average. In an open letter to Defra Secretary Michael Gove, the BVA and the RSPCA urge the UK government to change legislation in England which currently allows non-stun slaughter for religious purposes. The organisations urge government to provide further public transparency on this issue by releasing the comprehensive 2018 slaughter survey results, which were originally due for release Autumn 2018. • Meat to be labelled with the method of slaughter, e.g. stunned or non-stunned, so consumers are fully informed about the meat that they are buying. • Non-stun slaughter to only be permitted at levels that meet local religious community demand for this type of meat in the interests of limiting animal pain and suffering. • A ban on export of meat from non-stunned animals or live animals destined for non-stun slaughter. • An immediate post-cut stun for cattle, sheep, goats and deer to reduce the period of pain and distress. The letter follows a recent, high profile decision to ban the slaughter of animals without prior stunning in the Flanders region of Belgium which came into force at the start of the year. Belgium joins several other European countries, including Iceland, Sweden, Switzerland and Denmark in making this decision, demonstrating that a full ban on non-stun slaughter is possible within EU law. RSPCA chief executive, Chris Sherwood said: “Our concern does not relate to the expression of religious belief but the welfare of animals. “Until there is a change in the law to end non-stun slaughter, there are several measures the UK Government could introduce to reduce the suffering involved in this practice. 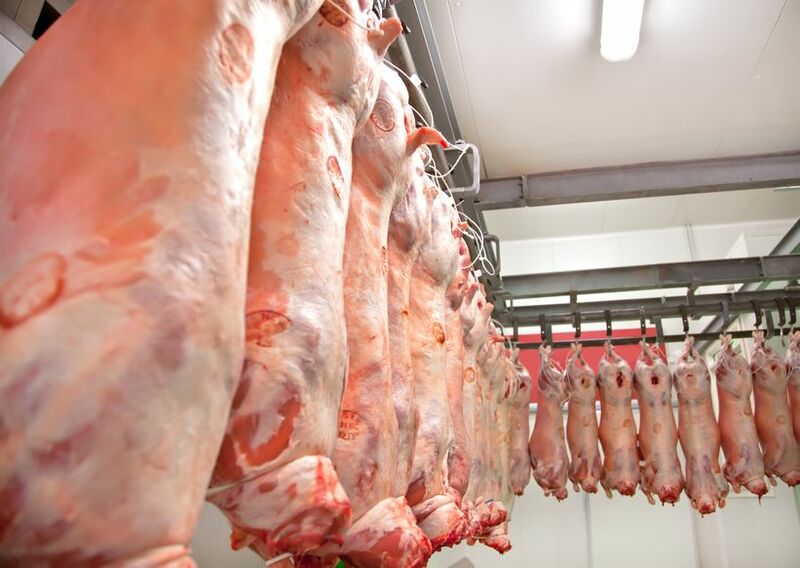 The BVA and RSPCA have called on Defra to be transparent on the issue of non-stun slaughter and release the latest comprehensive Food Standards Agency (FSA) survey results. It provides details on the number of animals in England and Wales slaughtered with non-stun methods, and critically includes data on the level of exports. Although Mr Gove himself signalled a commitment to publish the data by Autumn 2018, it has yet to appear. The most up-to-date FSA figures show that between October 2017 to September 2018, over 120 million animals were slaughtered without pre-stunning, including 118 million meat poultry (11% of the total number of poultry slaughtered), 3 million sheep and goats (25% of the total number of sheep and goats slaughtered) and 24,000 cattle (1% of the total number of cattle slaughtered). All animals slaughtered under the Shechita (for Kosher) are non-stunned, however, between two thirds and three quarters of meat labelled Halal is from animals that have been pre-stunned.